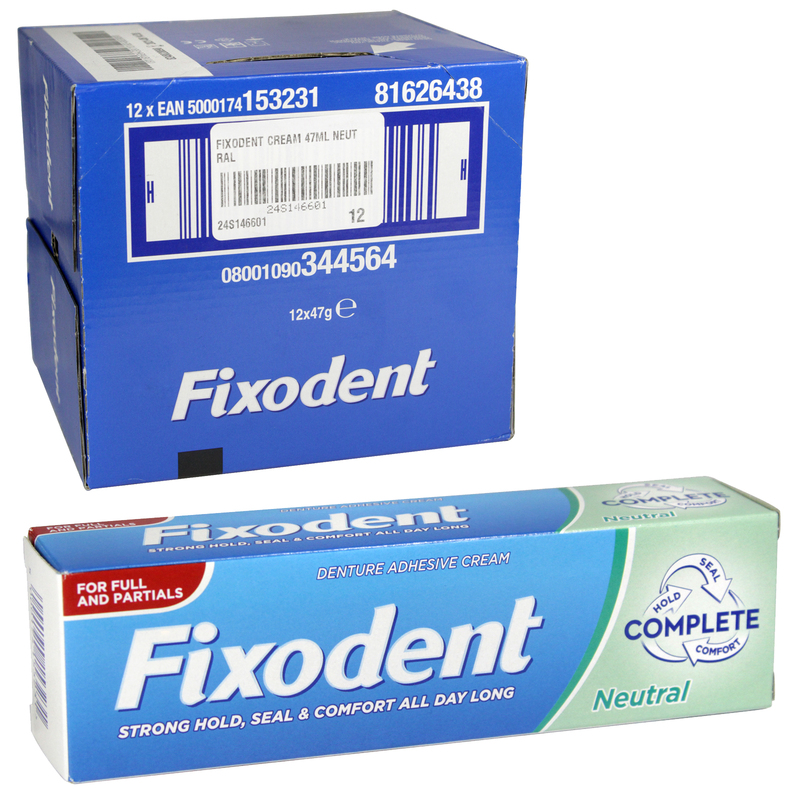 Fixodent Denture Adhesive with no flavour especially aimed for complete care. Complete solution with 3 benefits: strong hold, improved comfort and food seal. Holds up to 10x stronger vs. no adhesive.